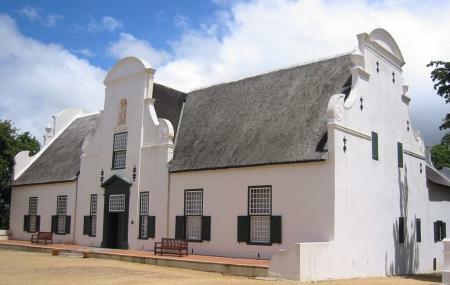 The oldest wine estate in Cape Town, this provincial heritage site is a paradise for wine lovers. Take a trip here and taste the huge collection of sophisticated range of wines, their red wines being the most notable. They have awesome combinations of Merlot, Shiraz and a special desert wine called Grand Constance. Paired up with great natural settings and chocolate that adds to the flavour of the wines, Groot Constantia is a place to be. Also, visit the popular attractions in the city by following Cape Town itinerary 2 days. The ticket price includes 5 different wines to taste. There are different tours with chocolate pairing and they gave different tickets. The cellar tour has separate tickets. How popular is Groot Constantia? People normally club together Kirstenbosch National Botanical Gardens and Clifton Beaches while planning their visit to Groot Constantia. This is one of the most beautiful wine farms in South Africa. You should surely add it to your list of favorite places to visit. Wine is delicious, you can have a guided tour. There are 2 restaurants to choose from, and the views are absolutely beautiful. Great people. Excellent service. Feels like home 'cause whenever I get there I feel welcome. Nice views too... The tour is very educational, do consider it if you go there. I love visiting this great estate with its amazing history. Definitely a must visit location when in Cape Town. The place was of particular interest to me due to a poem I did in primary school. It was fascinating to put a picture and history to something that was only imagined before. It has stunning views of mountains and vineyards. It is very peaceful, gives one a feeling of being close to nature.